Linking up with Lindsey for another WIWW! I am in love with these shoes. They are seriously my new favorites. 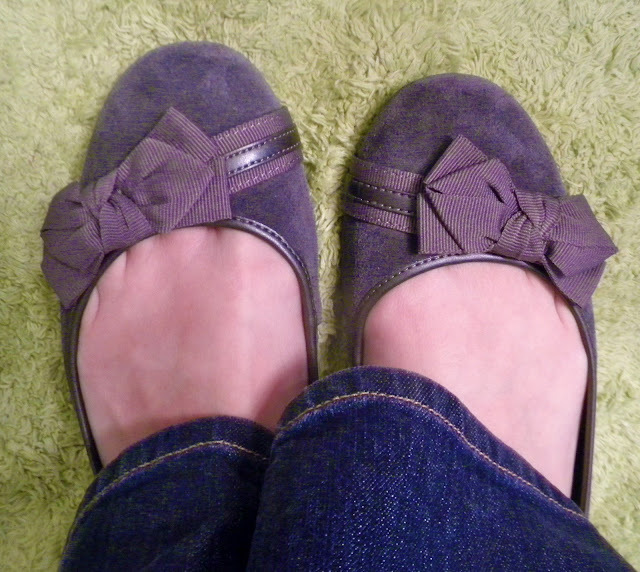 They actually have cushioning and AN ARCH inside....rare for ballet flats! And I have found that I wear the gray A LOT! No joke, the Bass outlet had a GREAT deal going on...buy one pair of shoes get 2 free. Soooooo, I got two pairs of boots and Chris got a pair of work shoes. So excited! I hate shopping for winter. Really. I am always cold and so all I want is to put on a sweatshirt and my slippers (thanks, mom!). Looking cute vs. being warm? Um, yeah, warm is ALWAYS going to win. 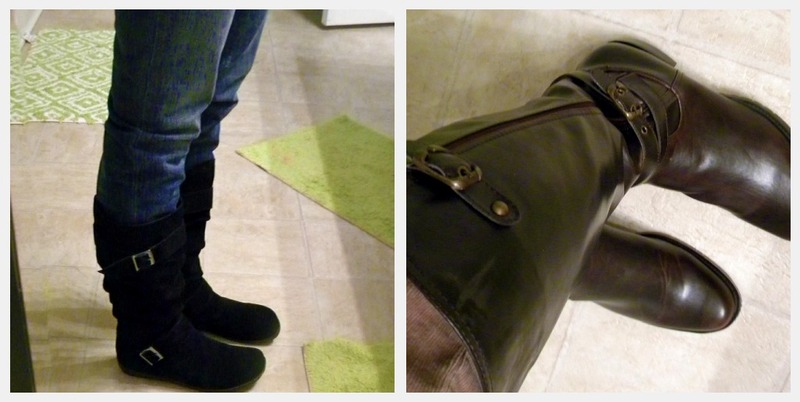 And last year I desperately wanted new boots, but couldn't decide which ones to get and I am SUPER cheap. Super. So, before we went shopping we made a list of what everyone needed...Chris needed new work shoes, I wanted a pair of boots so we were going to shop at Rack Room...but then the deal at Bass and well, enough said. 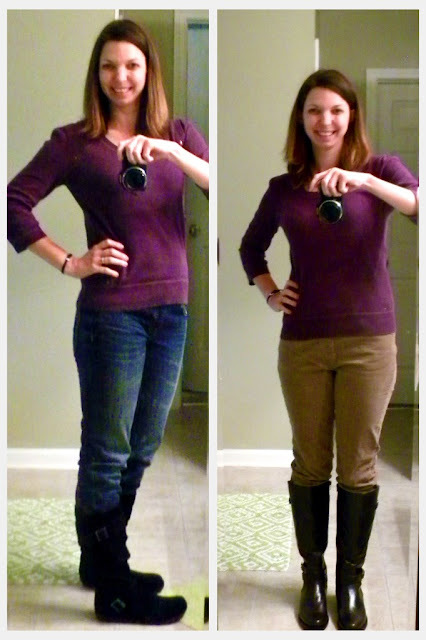 Then I didn't have to decide between black and brown boots. Now I just need it to get a little bit colder, because I feel kind of foolish wearing boots when it is 85 degrees outside. Just sayin. Love that yellow sweater from BR outlet! I'm so ready to wear boots, but Ihaven't yet b/c it's still so hot...I may just have to do it anyway. You look great! Yellow is definitely your color. So cute on you! Hi, I just love the bass boots, I recently came across the same pair (the brown with the buckles) and my husbands dog has recently ruined them. They were practically new at a thrift store, but am in love with them and was wondering where you purchased them because I need a new pair! My email address is jaynoelle08@gmail.com any help would be greatly appreciated. Thank you! The Red Line...and some hoops! Bikey in Pictures and More! This kid is pretty great. It was a confusing morning. The coolest nails ever. Ever, I tell you.